Differing health plans and new entrants into the competitive healthcare marketplace are playing a big role in the evolving healthcare industry. One particular feature thatâ€™s helping healthcare providers thrive in this emerging landscape is the implementation of systems of engagement with healthcare consumers. Raphe Schwartz, the national practice leader for strategy practice at the Chicago-based consulting firm, The Chartist Group, says that using systems of engagements will help healthcare providers better engage with consumers and patients. In short, Schwartz says that systems of engagement are coordinated sets of activities involving engagement with technology while also creating exceptional access to care services, providing care management across the continuum of care, providing a very broad geographic network for care delivery, and providing engagement opportunities across the healthcare system as a whole. By implementing an effective system of engagement, healthcare providers will be able to better aid in the care and healing process of their patients. Perhaps the most important aspects of engagement systems are the use of technology and providing quality care and pain management to patients. Experts have found that entertainment plays a critical role in the healing process. By using modern technology and alternative pain management techniques, healthcare providers can apply superior patient engagement systems and ultimately thrive in the healthcare industry. There are 1.23 billion people worldwide who spend an hour each day playing video games. And though some might think gaming is taking away from critical physical activities and encouraging a false sense of reality, leaders in the gaming industry are working hard to encourage Americans – healthcare professionals in particular – to rethink their perceptions of what gaming is. McGonigal designed a game called Jane the Concussion Slayer after suffering a traumatic brain injury several years ago. This game required players to seek out allies to help their secret identity get better, and they are rewarded when they reach new benchmarks in the healing process. The program has since been deemed â€œSuperBetterâ€ and is used to help patients work through depression, anxiety, brain injuries and chronic illnesses. McGonigal says that activating this â€œgameful mindsetâ€ has proven to help people heal better, and faster. The healing benefits of gaming entertainment were clearly exemplified by a 17-year-old with cystic fibrosis. Having been frequently hospitalized during his young life, the boy was angry and resentful of his disease. He was angry that the disease confined him to a room at American Family Childrenâ€™s Hospital, and was angry with the countless nurses and therapists who pushed breathing treatments and exercises on him around the clock. His dispassion for physical therapy resulted in a slow deterioration of his body mass and strength, which then lead to even more hospital visits. This vicious cycle might have continued indefinitely for the teen if it wasnâ€™t for the introduction of one particular gaming technology: The Nintendo Wii. The Wii requires players to hold a motion-sensing remote that picks up body movements, making things like a tennis serve or hurling a bowling ball much like the movements used in real life. And it didnâ€™t take long for the medical community to notice the benefits of using Wii in rehabilitation efforts. Veteran Affairs hospitals around the country have adopted Wii as one of the leading rehabilitation medicines used to help combat veterans recover. Occupational therapists use Wii to help patients regain arm strength, range of motion, balance and coordination. Best of all, the versatility of Wii makes it easily adaptable to patients with all different types of abilities. From children recovering from brain trauma, to teens suffering from physical illnesses, to seniors with common ailments, the Wii offers a fresh means of healing through entertainment.Â Wendy Stewart, a pediatric physical therapist at the University of Wisconsin Hospital, says that the Wii has been an extraordinary means of healing at the UrgentWay clinic â€œbecause itâ€™s always necessary to engage someone before healing is possible,â€ and this gaming system makes that possible. Despite advances in modern pain medication, effective pain control continues to be a challenge for patients and healthcare professionals alike. However, distraction has recently emerged as an effective non-pharmaceutical technique for pain control during the healing process. When psychological techniques like distraction are effective, pain is better controlled, dosages of pain medication and related side effects are reduced, and the patientâ€™s overall health and well-being increase. In short, distraction works through a process of attention – a state that is possible the most commonly studied psychological variable that modifies pain perception. 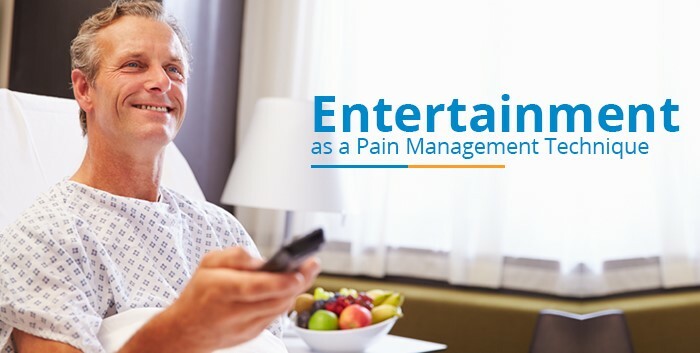 Thus, when a patientâ€™s attention is drawn toward things like movies, games, music and other forms of entertainment, the mental focus on physical pain is reduced. The studies behind entertainment as an alternative means of pain treatment have spurred more than 100 hospitals across the United States to invest in things like comedy carts or humor rooms. Filled with toys and games, and decorated in bright, colorful designs, rolling comedy cars bring patients cheer and inspire laughter. Humor rooms are adorned with upbeat, comforting decorations, furniture, flooring and lighting that creates a fun space for therapeutic entertainment. These rooms are designed to provoke happiness and laughter by giving patients access to games, toys, books, audio tapes, CDs, comedy movies and even live entertainment. Though there is no concrete evidence that laughter alone can physically cure illness, it does promote physical and mental health that can greatly enhance the healing process. 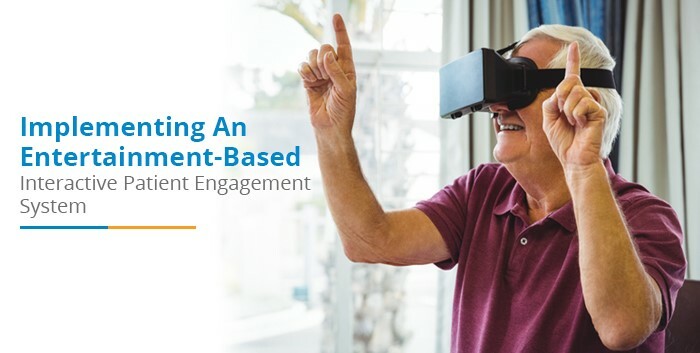 Implementing an interactive patient engagement system is critical for any hospital or healthcare provider who wishes to thrive in this competitive industry. 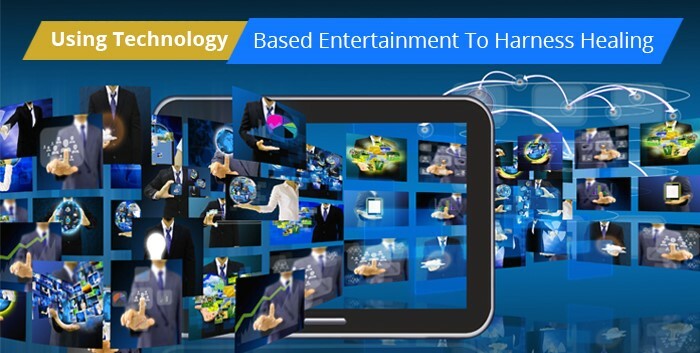 However, by ensuring these systems place emphasis on entertainment techniques that inspire movement, mental stimulation, laughter, and happiness, healthcare organizations can provide superior patient experience and achieve ultimate success. Contact Sonifi Health today for more information on interactive patient systems.